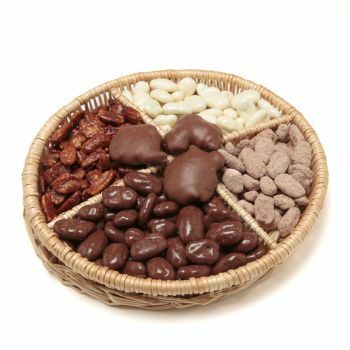 Texas Gift Basket - The Texas shaped basket is immediately recognizable, and the great Pecan Products make it a Grand Selection. 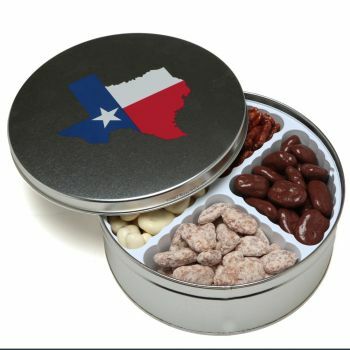 You will appreciate the fact that our Texas Gift Basket comes in 3 sizes- large, medium, & mini. 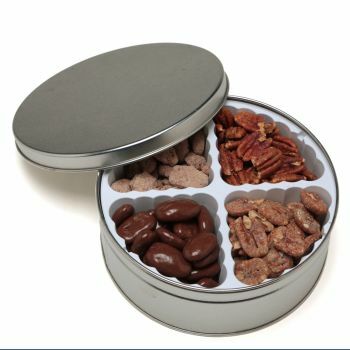 Includes the top Alamo favorite flavored pecans, coffee, and honey butter to make the perfect gift. 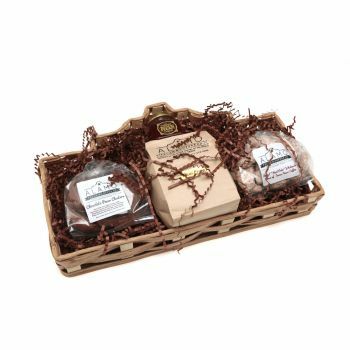 This gift will speak for itself as you are giving a little bit of history and a lot of flavor with each basket. 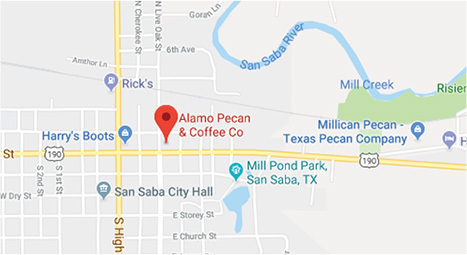 This has been one of Alamo Pecan and Coffee's best performers because of the sender's ability to emphasize the Texas Roots with the Texas Richness as well. 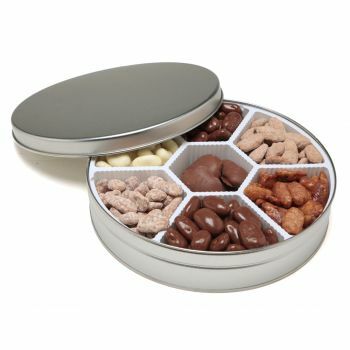 After your recipient enjoy the delicious treats, they will then have a beautiful keepsake for future use. Because it's all about the presentation, at Alamo Pecan & Coffee we add a complimentary hand made bow, and your gift message for the personal touch. 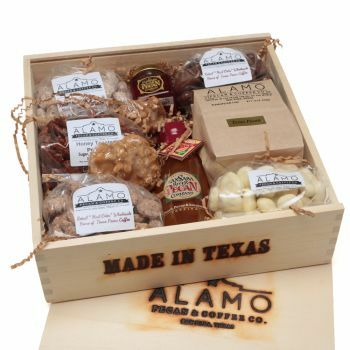 Ordering these Texas Gift Baskets will without a doubt create a stampede of Thank You's and Appreciation! If you know someone who needs a little more Texas in their life, this is the gift for them. 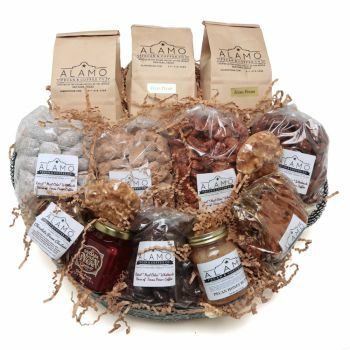 This Texas-shaped gift basket includes a perfect sampling of the best this big-old-state has to offer! 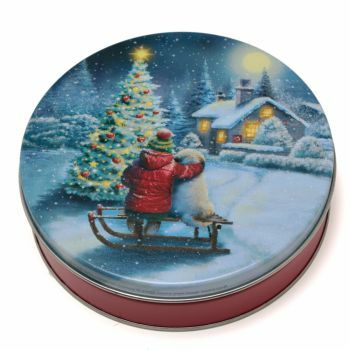 Plus, it’s two gifts in one. After all the treats are enjoyed, you’re still left with a fine, handcrafted Texas shaped basket. 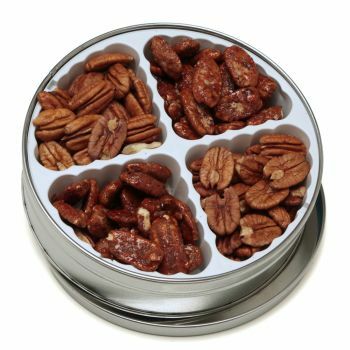 This basket comes in 3 Sizes: The Large Texas Basket includes four pecan flavors, plus our scrumptious pecan honey butter. 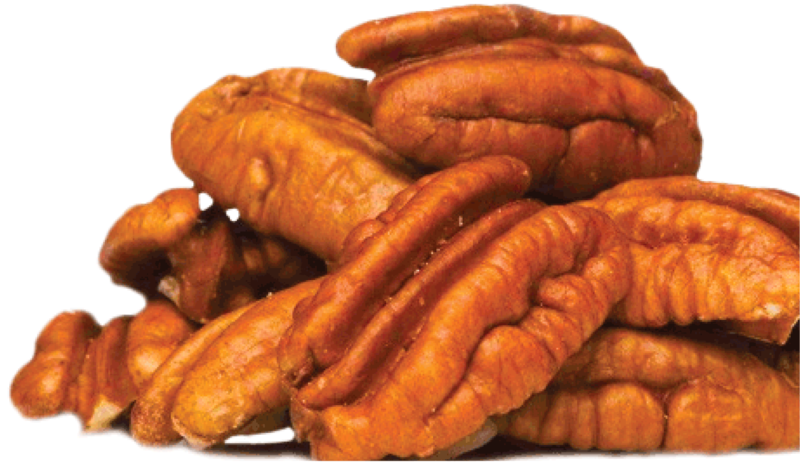 OR you can switch out one of the pecan flavors for a bag of our gourmet pecan coffee. 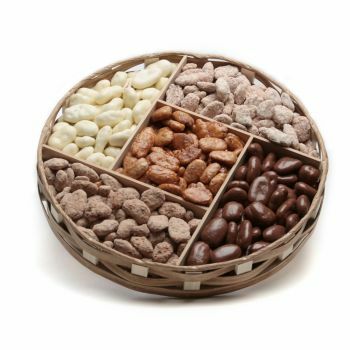 The Medium Texas Basket comes with three flavors of pecans and a bag of delicious coffee. 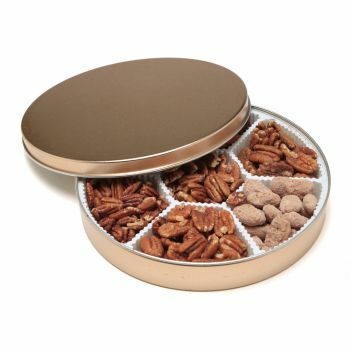 OR, your can choose two flavors of pecans, one coffee and a jar of Texas pecan honey butter. The Mini Texas Basket is a small basket filled to the brim with the best Alamo has to offer.